Very Well Carved Fantasy Tale with Loads of Stellar Action and Loads of Energy makes the film Worthy to Catch. This Friday, you have big release from Kabir Khan called Phantom. The film has Saif Ali Khan and Katrina Kaif in the lead roles, while the film is produced by Sajid Nadiawala along with Siddarth Roy Kapur. The movie is loosely based on the 26/11 Mumbai attacks on Taj and other places in the city. 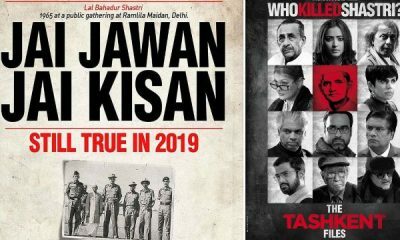 Its screenplay has been written in coordination with the known author called Hussaid Zaidi as per his book Mumbai Avengers, which also deals with the similar issue discussing the aftermath of 26/11 Mumbai attacks. The film released the trailer on 25th July 2015 and is finally hitting the theatres this Friday. The film is an action thriller, with Saif Ali Khan trying such kind of character the first time, however, for Katrina, it isn’t new. Now, let’s have a look at the film to reach to its crux. The movie begins with a presentation and narration of images, footage and several clipping pertaining to the 26/11 attacks of 2008. The very central theme of the movie was simply made clear with its crisp right from its start. Soon, you will see the current days of 2015 when agency decided to seek justice for the attack by hiring a crazy man for this mission. 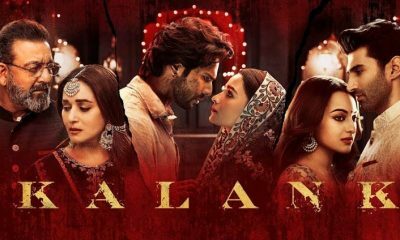 There you get to see Saif Ali Khan playing the character of Daniyal Khan, who is a former defence man knocked out from the Army owing certain tragic incident. Thus he gets the incredible mission to kill the Pakistani terrorist who has masterminded the entire attack on the city in 2008. On the other side, you have Katrina Kaif playing the character of Nawaz Mistry, who is a former RAW agent and currently engaged as a security counsellor and also a supplier of arms to refugee camps. Daniyal is made to meet this lady, who in turn gives her help to Saif to accomplish his mission. Daniyal plans to meet LET leader and the members of this group by any hook or crook. In order to pursue his mission, he first travels to Syria and then goes to Pakistan. There he witnessed a number of twists and turns along with catching up some compelling action scenes. So, what happens at the last is interesting to explore. Phantom can be called as the best fantasy story, which time and again we find movies and in earlier days in comics. Yet, the film from Kabir Khan sounds impeccable and unlike any other film, it has its own plus points and flaws. However, the chilling climax of the film will certainly add up a new sense of catharsis for sure. You find the axiom justice delayed but not denied coming true in the film. Wish it could be true, but the fact is it’s a fiction and our wishful thinking that would require more time and efforts to teach the foes the lesson. The script seems to be seen with some balance adding certain neutral values in it. And whenever one discusses the 26/11 Mumbai terror attacks, it’s inevitable to see rage but this simply erodes the rationalism. However, Kabir is smart enough to keep the emotions and rage at bay and smart enough to prevent the religious colours or animosity towards Pak to scar the chastity of the said mission. You will interesting characters like a smart Pakistani nurses played by Sohaila Kapur who lost her son in some of the attacks of LET plays a key role in seeking the justice for the attacks at the end of the film. Not all Pakistanis like their sons and young generation treading the path of terrorism in the name of religion, which is shown in the movie too smartly. However, comparing with the novel of Zaidi, which tolls to around 300 plus pages, the film is much short. Kabir has removed a number of sub plots of the book to convert it into a two and half hour film. The book, however, is more realistic and competent in terms of perfect story telling exercise, which you may miss out in the film. The fact is Kabir Khan is seen taking several cinematic liberties with the film, which appears to be a biggest flaw called convenience in it. In the first half the film fails to simmer making the story appear very much unnatural. Above all the operation in London seems far from the reality as it is accomplished with utter smoothness. You end up finding many places wherein Kabir is seen sacrificing the logic for thrills. And as you enter in the second half, Phantom becomes very much grittier than the former section, which will keep you glued to the seats. With loads of drama happening in Pak, Daniyal is seen playing hide and seek with the ISI guys almost like a Phantom. With all the chase game, Danial end up taking the revenge of 26/11 that is one of the interesting end to explore in the film. The climax of the film seems working out, yet we will leave to the audience to judge. Talking about the Kabir Khan, he may be seen committed a couple of mistakes in terms of cinematic perspective, yet he and his team deserves all round of applauds for the honesty he has put in the plot. Talking about performances, Saif has tried to touch the skin of the character, though he failed to a great extent, while Katrina seemed adequate, thanks to her earlier works with Kabir Khan. In fact, Kabir was successful enough to extract the maximum from Kat for the film. Taking about others like Zeeshan too was seen with little less energy. 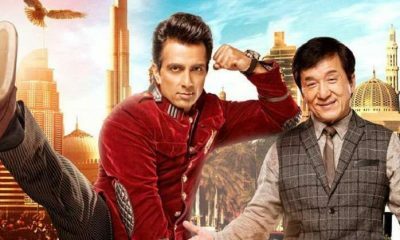 The other elements like cinematography, cool sequences and nice locations along with stellar action, and not to forget the soulful songs and cool dialogues too boost up the overall entertaining value of the film. 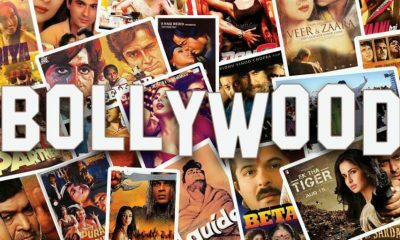 Content rich films are the real survivors over the box office, though they may fail to do big business without the presence of big stars, yet can be a perfect catch at theatres. 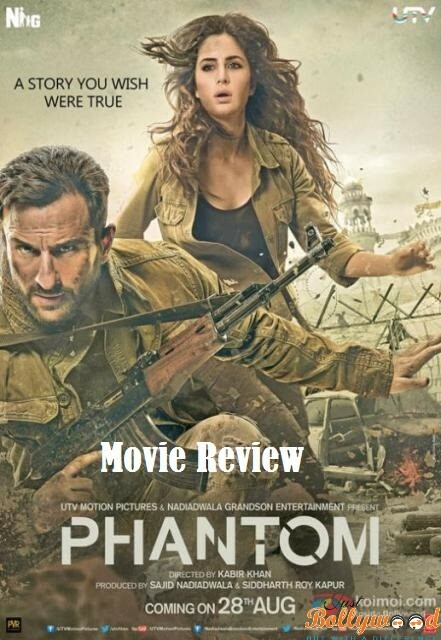 Phantom is no exception, which is a well carved fantasy avenge saga from the victims of 26/11 Mumbai attack. However, in terms of performance, the film somewhere lags behind despite Saif has tried his best to portray the best over the silver screen after the failure of his earlier movie Happy Ending. Yet, Phantom is able to score a taut and terrific nail biting thriller movie, which will remain unmatched for a longer run. The kind of satisfaction one gets after catching up the climax at Taj simply can give immense satisfaction. You leave the hall with a feeling wish this could be true, which is nothing but the cash line of the film.